Pammie's Crib: No Tantrum today. Ofcourse, you can't Tantrum on a Sallah day. So, to all our Muslim friends out there, we celebrate with you, and are wishing you a Happy Eid-El-Kabir. 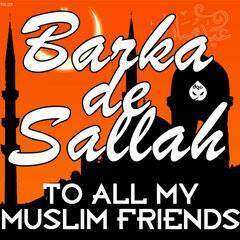 Happy Sallah. Ok that said, Bmf and Jummy, where is my sallah meat? Kai, I need lots and lots of Muslim friends ooh. See how I'm dulling myself especially in times like this. Well, let us all enjoy the holidays, atleast its a long one. With or without a spouse, go out, have fun, relieve the stress, have a long sleep, watch movies, enjoy yourselves, and have a beautiful holiday. As for me, I'm going to do what I do best. Guess if you can. *tongueout*. Lol. Not that. Try again. Pam go don vex for me.